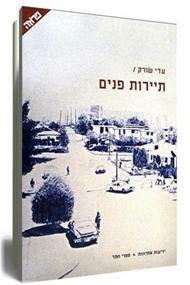 This is the blog of Adi Sorek, a Hebrew writer lives in Tel-Aviv. She is the Writer of three fiction books and one short novella. She is also the editor of Vashti – prose series at Resling Press. She writes in Hebrew, and in this English blog you may find some translated pieces from Sometimes You Lose People – her latest book; the abstracts of her books and selected reviews. 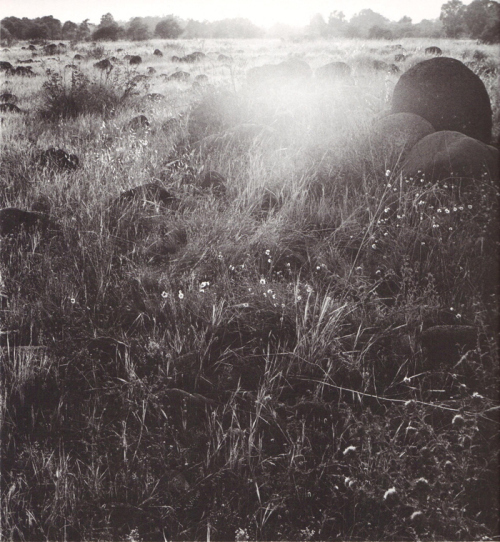 The book opens with a novella entitled “Sometimes You Lose People” – about the detached existence of a young woman who longs to find a lost friend and in the process raises questions about closeness and loss. The novella, inspired by Gertrud Stein’s style, is written in an intense and musical syntactic rhythm, contrasts a slightly aloof-amused register with some pain-filled contents. The rest of the book consists of short, sometimes very short stories, creating a thematic patchwork quilt which moves between homelessness and homeliness. Despite the fact that each story stands on its own, many stories are interwoven – as a sequel, as a parallel story, or as a story that completes a certain move started by a previous one. 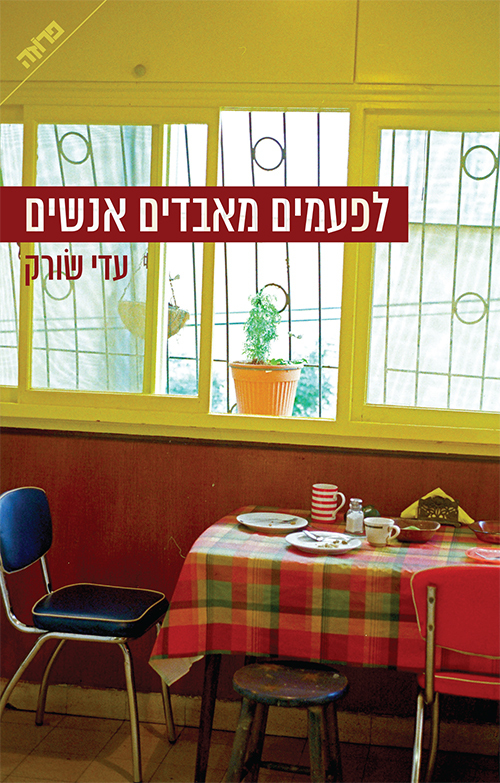 A collection of stories that includes three dictionary-cycles entitled “Tel Aviv Alphabet”, “Woman Alphabet”, and “Haifa Alphabet”, which sketch an arbitrary – lexical – movement among very short stories. The linked-unlinked stories weave a personal, urban and cultural tapestry whose ends can sometimes be tied together and at others are indistinguishable. A lionfish danced near a quiet beach, on an evening awash with desert-red sunset twilight, as my mother and I rose heavily out of the deep waters, wearing plastic sandals to protect us from urchins’ spines. The water’s blueness bathed in us as if we were mermaids, she with her curvaceous figure and I with my slender childish body. Were it not for the darkness that threatened to fall suddenly we would have probably stayed on, watching the colorful corals or floating like translucent seaweeds whose edges fray into thread-like, lengthening fingers. Suddenly my mother stopped and fell on all fours, sweeping me too into a kind of quick drowning in the shallow waters, which I escaped by spraying slivery streams out of my mouth, choking and waving my arms and legs, which flapped against the water and caused more whirlpools and splashes, till in the end I scaled my mother like a little weary cub, enjoying the friction of our smooth skin, till we escaped the entangled bind but remained standing on all fours, crawling in the vibration of a rolling, never-ending laughter, as if we were our own audience, momentary water comediennes. Just then, whilst clumsily crawling out to the shore and from the low altitude in which we remained, we noticed a yellow- and orange-striped fish surfacing into the water’s edge, into the area which is half-land and half-sea. Its body was only slightly dipped in the water, so that any uncalculated move would have made it too exposed and risking dryness. It was like an artist who explores the boundaries of the stage, risking standing on the edge, which could lead him to fall into the dark side, the side of the audience. In its honor we both fell silent at once, holding our breaths with admiration and watching it from behind, from the sea towards the shore. Its stripy fans glided with a calm and quivering cyclicality as he circled and danced, in a kind of private self-centered mastery, swept with blue, sunset-pink and sand. I don’t remember many such moments of quietness with my mother. But there, near the lionfish, we were one with one, without embarrassment, without a failed desire to make each other happy, without guilt we stood spellbound, staring with awe at its heavenly display, wishing it would never end. Then it turned back, withdrawn like an actress who, after removing her glamorous wig and baring her tightly combed hair, is ready to go out to the street and walk among the madding crowd like a fish in the stream whose head is pointed with maximum and meticulous precision in the direction of its advance. On the hill in the field that we found in-between snails grow on outdated brambles, ahead of winter. Beheaded lace thorns wallow like the remainder of a glittering principality. From here the summer looks sumptuous and soft, not like it felt in cruel, scorching real time. Snails delight my son and he strays from the footpath for them, checking the scores of white flowers that have climbed up a stiff yellow stem. He collects a few in his hands, “only the dead ones”, he stresses, occasionally suggesting we take other ones too. The next day the books grew some snails that we thought were dead. We released them in the garden. Though it’s not the same habitat, it was the best we could do for them. And at night I dreamed of dead snails that resembled toy skulls and whose tentacles moved sideways, like during a sad Simon and Garfunkel song, when the people in the crowd move their arms, holding up candles. And only when I woke up I thought it strange, that their tentacles moved when they were dead and I wanted to check again and I went into that cave that my son is so interested in and I asked. And they told me that there is wind there. And the wind enables them to move despite everything. And I still objected and said that I know that when a snail dies it dries out and only the shell remains and that the shell is like its skeleton, or what symbolizes the skeleton, and they said Right, that’s how it is in the world, but in the cave it’s different. And when I came out I thought again that when a snail dies its shell remains and the shell is part of the body. And that once I too was like a snail. And I only had slime. Galya rises and immediately stands up and marches straight ahead, as if emerging from a dream into an urgent mission – to push the baby carriage from the corridor to the balcony, pulling it over the hurdle of the sliding-door track, to complete a circle around the kitchen with the Ride-on, to take four or five dolls at a time from her room to the living room couch, to sit them down and take them back with two small hands organizing, holding the group. Today a rare thing happened and I managed to sleep for a considerable time at noon, a thick sleep that gets out of control and knows at a certain stage that it must be stopped but is unable to and sinks deeper and deeper into a dream and the dream deals with waking. And when A woke me up my tongue was sticking out slightly and I was worried that that was why he was laughing affectionately and I felt unease that the border had been crossed between the inside and the outside and the wet part came out a little, and this gap between the teeth, and even though he loves it felt like falling. A black woman sits on a bench, on her skirts is a large densely packed notebook in which she writes words fervently, one after the other, under the light of a street lamp. It is night now and I am in a car, waiting at the stop light. My hands are free of the steering wheel, I’m slack and observing. The city is full of Sudanese refugees, she looks like one of those (I always look for them, to see if I will see in their faces what they saw). And how was it that, on her way to the kids, or back to the shelter, or from work, or between arrests, she found herself a corner here, in this chill, (there is nothing between skirts and socks, nothing to warm, her legs are bare) to sit under a street light on King David Boulevard and to write so much, so fast, as though the light were running out. And how it is that people find themselves a shelter in writing, a refuge for what is human in them, maybe even for the super-human. In my hands began an itch, something prickling them to grip the door handle, to cross the line. But then she began reading, her voice that of a canting preacher, like those I remember from the subway in Brooklyn, and her strangeness again sealed the car shut from the dark outside and my recoiling senses nestled in the dry streams of the car’s heating.